I bought this HVLP gun on a whim. 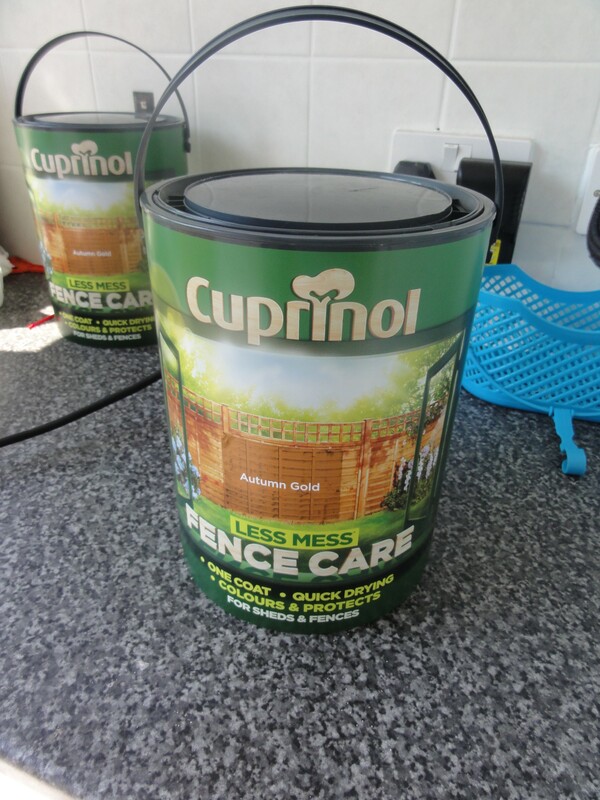 I have just moved into my new home and it is surrounded by unvarnished fence so what I did was bought myself some Cuprinol Less Mess Fence Care – Autumn Gold from ASDA and a brush and roller set then started painting. 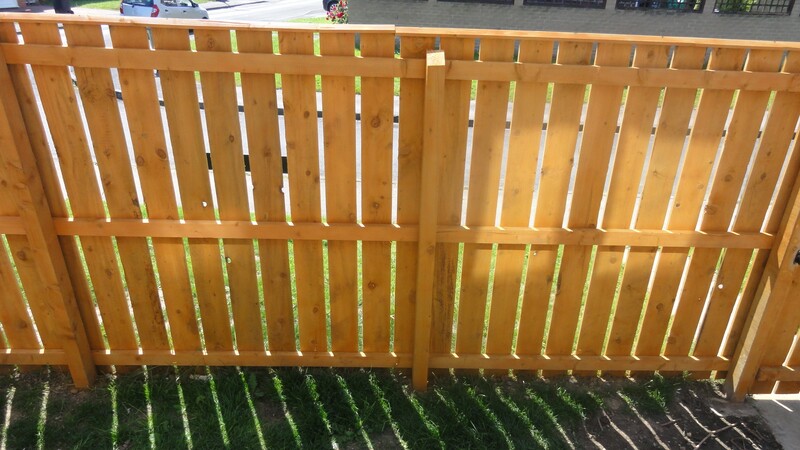 This was my first time I have painted a wood fence and did not realise how difficult and time-consuming it was. I went through 21 panels in 4 hours and used almost 80% of that 5 litre tin. It was hard work and that paint was just soaking into the wood. Once I seen the as seen on TV I just thought of shopping channels and alarm bells started ringing. I could not really find much information on these guns I searched reviews videos etc but decided to take a chance and I bought it the alternative was to get my roller and brush out again I didn’t want that the thought was painful. 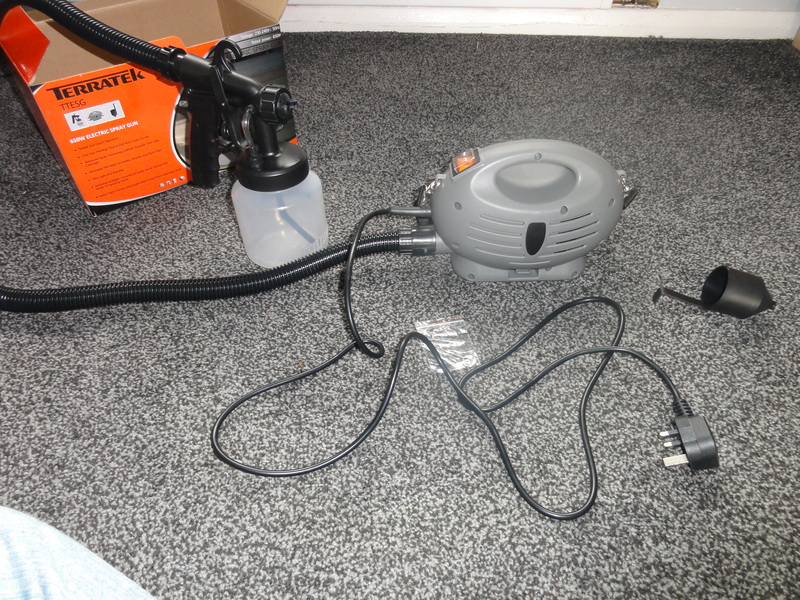 So my unit arrived after a few days and here is what I got pretty simple really what you get is a pot which screws on to the bottom of the gun obviously this is where you put the paint. A manual I probably should read but didn’t bother to read a carry strap and a viscosity measuring cup which is to make sure the pain is not too thick and will spray well. 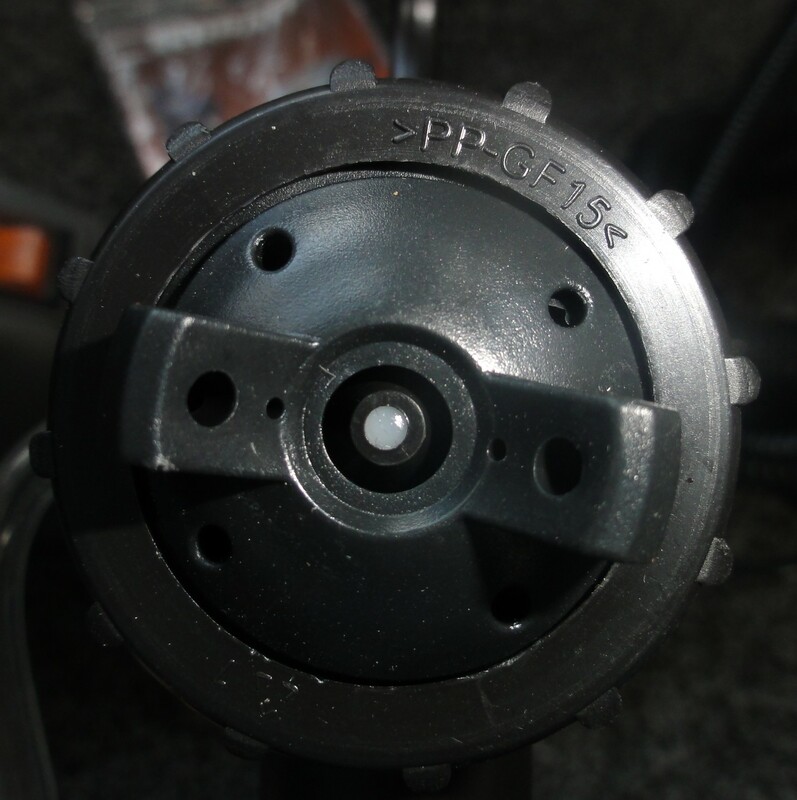 This is the nozzle you can turn this to get three different types of sprays horizontal vertical and a spot spray. The paint that I already bought I decided to use in the gun it was not perfect it had lumps in which I was a little worried about I just had this image in my head of it just blocking all the time but decided to use it anyway as I just bought another 2 tins of it. I did not use the viscosity cup to check I know it’s quite a thin paint so decided to just go for it. Here is the result I can say it works well for spraying a fence it blocked once in all this time I used it and I used it from around 10 am until 4 pm the reason it blocked is because I stopped and let it stand for about 30 mins. All I did to unblock was use run a bit washing up liquid and warm water through it and pretty much cleaned the gun out this didn’t take to long to do. Although it did worry me at the time. Paint wise it used the 20% I had left from one tin and about another 20% of the new one that I opened, Its far more economical with the paint sprayer than the roller I was using although there is a downside it goes on slightly thinner but it still has good coverage and gets into places you could normally not get with a brush. Speed wise it is quicker although I didn’t mind how long it was taking at the time it was just more fun to do and a bit less of effort is needed but after a while your arm and trigger finger aches but I wouldn’t say it bothered me too much. It’s not very messy to use there was a slight breeze on a hot summers day and I did see it carry the paint slightly so it pretty much most be used on very calm days unless you’re inside of course. If you’re careful it wont go all over the floor either just keep a nice steady control which in itself is not really difficult. Being an end house semi detached I don’t have neighbours on one side so that side is no problem but obviously on the other side I have has so what I will be using is a dust sheet hang it over the fence to make sure I didn’t spray their patio Or I am just going to ask them to lay it on the other side I haven’t got that far yet. Noise wise the unit is loud vibrates a little not enough to give you white finger 🙂 but still a little loud bit like a hoover. Cleaning is simple although I have only used it for a fence and that paint I used was pretty easy to clean off the brush anyway, gloss or a thicker paint may be a little thicker and more difficult not that I would use it for that myself. So overall the only problem I have had with this is the one blockage I had that I mentioned and when I was using it occasionally started splattering lumps of paint onto the fence this was because the paint itself was a little lumpy but nothing major. I think if I bought a paint mixer or used a sieve to take these out the lumpy paint it would have went a little smoother that not the guns problem more my laziness. 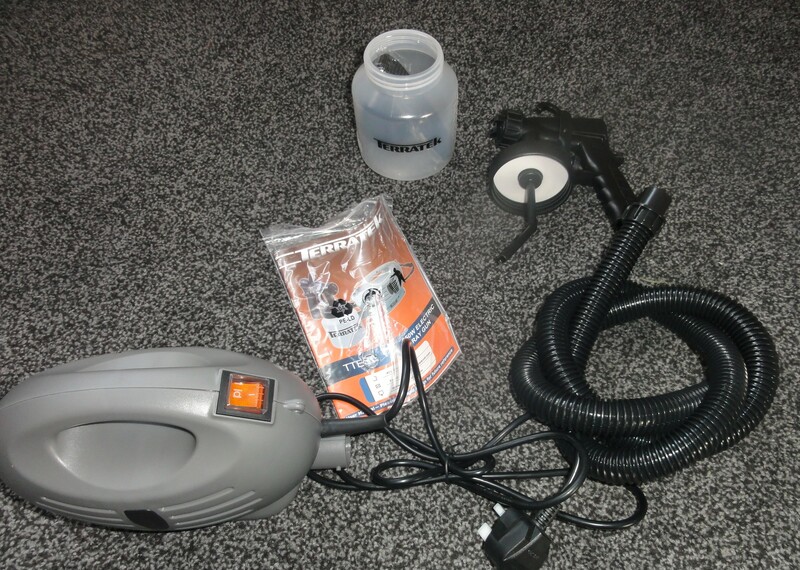 I would definitely recommend this as an outside paint gun I can’t comment on using it inside as I have never used it inside yet. If you have any questions I will try my best to answer, better yet if you use it inside let me know how it goes please I would love to know. Thank you, very helpful review! Yes It’s pretty good compared to a brush as using a brush just soaks into the wood. Suppose it depends how long you hold the sprayer in the same position.